Home > Cost vs. Value: A Remodeling Nightmare or a Dream Come True? 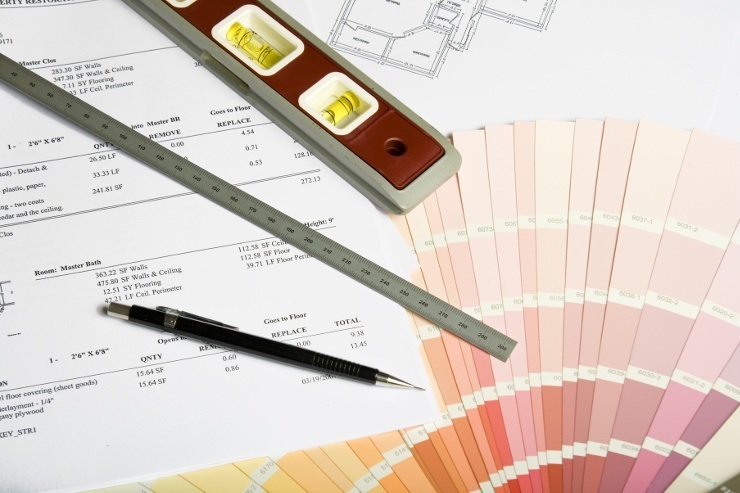 Cost vs. Value: A Remodeling Nightmare or a Dream Come True? Article originally published in REMODELING Magazine. Consider of all the basics in life – transportation, clothing, food and housing – which one regularly brings a significant “return on our investment?” Not transportation; a shiny new car begins to devalue the moment you sign the papers, and keeps on depreciating every minute thereafter. Certainly not clothing; only secondhand stores and the Goodwill want these discards. The value of food…is obvious. But the home is different. Of these basics only real estate may truly be considered an investment with potential future yields. Given proper care and thoughtful planning, improvements tend to actually appreciate in value. Not as much as ten years ago, but homeowners in the Sacramento valley who remodel wisely can count on recouping much, if not all, of their investment – and oftentimes more – when they resell their home. The remodeling improvements I am speaking of is underscored by the results published in the national magazine REMODELING, Cost Vs Value Report. I found the findings of this report as an unbiased and objective view of what I term “essential value.” Each year, REMODELING Magazine surveys 12 popular remodeling projects, determining their average costs in 60 cities around the country, and compares those costs with predicted resale values. Their cost estimates comes from respected publishers of construction cost data, estimating manuals and estimating software. Resale values were provided by real estate agents, more than 200 in this year’s study. Of the projects surveyed, on the average, seven out of 12 projects returned 83% of their original cost – and more than 100% in many major markets. Sacramento is part of the “west market region” noted in this study. Based on these findings, here in Sacramento, we can expect to recoup up to and over 100%. Home Office Remodels recouped the greatest return with a yield of up to 190%. Attic Bedroom Remodels were next, yielding up to 153%. Bathroom Additions, Family Room Additions, and Minor Kitchen Remodels recouped up to 127%. Then sliding Replacement, Deck Additions, and Bathroom Remodels were in the 120% range. Master Suite Additions and Two Story Additions yielded up to 114%, while Window Replacement recouped up to 108% of its original cost at the time of resale. Many home buyers prefer older homes and neighborhoods, but they also want the features generally found in new homes, i.e. lots of bedrooms, ample living space, and up-to-date kitchens. Bringing a home up to the standard of newer houses in the area – without exceeding that standard – this secret will bring the best return on investment. Now you’re asking, who can help me? Who knows when enough is enough and when too much is too much? It is best to get advice from a collection of professional advisors: a real estate agent, a loan officer, an interior designer, an architect, and of course a builder. Real estate agents advise homeowners to keep a sharp eye on their neighborhoods. “The resale valuation of remodeled homes in the Sacramento area depends greatly on location,” says Evelyn Morgan, a top real estate agent with Coldwell Banker – Sierra Oaks. Evelyn’s real estate office was named Number One in total sales in the Coldwell Banker national network. Remodeling costs can often be recouped, but “…only if the neighborhood can support the additional resale value,” says Patti Baeta, one of Dunnigan – Sierra Oaks’ premier real estate agents. “Don’t expect good resale value from improvements that ultimately cause your house to be the proverbial best on the block,” says Brigitte Vaugn, a real estate investment consultant with Eagle Realty. Loan officers are also critical in this delicate balance. David Bernatchy, Vice President of FINET, says, “Nothing has to be guesswork when it comes to value. You can get a general estimate of value of your proposed improvements long before you hire an architect or builder.” His loan brokerage firm specializes in new and remodel construction financing. “If you know the rules and play by them, you’re bound to be one of the winners,” says Mike Fonseca, a Senior Loan Specialist, also with FINET mortgage. I say “Style” is an important factor also. Yolanda Irby, a drafting designer and job superintendent with ALSTON’S in Sacramento, advises homeowners to individualize their homes, but not to the point where they are “too different” from what is normally considered customary for your neighborhood. Buyers in the market for a traditional Tudor home, for example, will not be looking in a neighborhood of contemporary casual homes. The most important thing to remember is quality in design and construction will show – and sell. People have always been willing to pay for quality. This one element generally will keep you in the 100%-plus end of recouping your costs. “Just adding space alone won’t pay back upon resale. Add spaces that flood the room with light, that add excitement and openness, and that will inspire the mind and warm the heart,” says international award-winning designer and builder Shaun Alston with ALSTON’S in Sacramento and San Francisco. 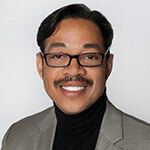 Shaun Alston’s credentials include Licensed General Contractor, Licensed Real Estate Broker, Licensed and Certified ASID (American Society of Interior Designers). He has won numerous awards for his work. With his years of experience and exceptional reputation, he has been deemed a true professional and expert in his field of design and remodeling. You can contact him at (916) 446-4646. Free pre-qualification. See if you qualify! At Eagle Realty we don’t just sell homes, we build relationships. We are committed to providing you with the very best representation for your needs, while making sure that you receive the individual care and attention that you expect and deserve.